If You Insure with the UKFFA Scheme, your Premium is DUE !! Did Your FF Insurance EXPIRE Yesterday ?? A message from the fleet insurer…. FF Fleet Insurance is Due….!! Don’t let your boat insurance expire! UPDATE FROM UKGLOBAL: If you are using the BIFFA approved insurance scheme with UKGlobal, then your renewal date will be 15th March. You should by now have received an email with your specific renewal terms; please check your Junk folder if you’ve not seen it. If you’ve still not got it, then please contact either Jerry or Natalie ASAP, using the details below. It is important to note that you should not wait until your first sailing event before you renew your policy, as you will not be covered in the meantime. For example, if no policy is in place, and your craft is damaged by fire, or causes damage to another craft or other Third Party property during a storm, then you will not be indemnified for the repairs or replacement. If you’ve not yet renewed your policy, then please contact Jerry or Natalie to ensure you and your craft are protected. I saw the note from Justin about UK Global’s insurance service. I found them good for travel insurance, too. UKGlobal, our Fleet Insurer is Highly Rated…..!! The old saying, “you only know how good any insurance company are when you make a claim” certainly rings true. I couldn’t fault the FF Class insurers UK Global in their work in assisting me in helping to resolve my claim against the other insurance company. Both Dan and Jerry in the office were tremendous, and went truly beyond the call of duty in their efforts to resolve the claim. UKGLOBAL – A Message from Our Sponsors…!! Our Member craft insurance partnership with UKGlobal also provides you with access to UKGlobal Private Clients, a specialist service designed for those paying more than £1,000 a year on their personal insurance. A further benefit is that taking out insurance with UKGlobal Private Clients will provide additional income for the Association, helping fund Member activities. For more information, or to obtain a personal quote for your personal insurances, please take a look at the Private Clients brochure on the website or contact UKGlobal Private Clients on 01883 333 500. A Life Before the Mast ….!! about rigging the boat and in the process the main halyard blew downwind. brisk Sunday sail to greeted by red faces and a broken mast! embarrassment, we don’t foresee any problems. Has Your Boat Insurance Expired …??!!! UPDATE FROM UKGLOBAL: According to our latest records there are still over 50 members who have not yet renewed their craft policy. If this applies to you, then please note that your craft is currently uninsured. 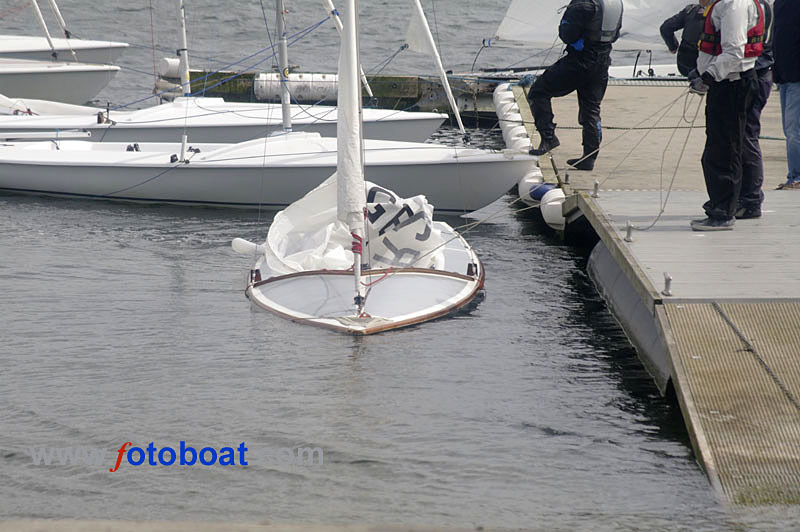 It is important to note that If you are waiting until your first sailing event before you renew your policy then should your craft be damaged by fire or it causes damage to another craft or other Third Party property during a storm in the meantime for example then you will not be indemnified for the repairs or replacement as there is no policy in force. Urgent – Check Your Insurance….!! If you are using the BIFFA approved insurance scheme with UKGlobal, then your renewal date for your F15 was 1st Feb. However our records state that nearly 50% of you have not yet confirmed renewal! You will have received an email from us with your specific renewal terms. An official reminder is to follow in due course. To summarise UKGlobal have managed to freeze rates with the insurers (based on existing sums insured and unaltered claims experience) and in addition the renewal date in 2015 will be moved to 15th March at no extra cost to you. FF Buoyancy Rule Still Works….!! Have you wondered how our new Insurance Scheme is getting on?? I did, so I got an update from Dan Blake at UKGlobal. The answer basically is “stormingly well”. Before UKGlobal worked with Chris Waples to redesign the policy there were around 260 boats on the policy with about half of them being Association Members. We are ‘in season’ now for insurance renewals (not everybody closes their year in February) and applications are still coming in. There were 25 new owners on the policy by the end of February and there is a feeling that the total number may go above 300 – even 320 has been talked about. Pretty good, eh? I must say I am extremely pleased with my new premium…. So what does this mean for our Association membership? Well, for the last seven or eight years we have generally eroded away our membership at a rate of 20 a year. Hopefully when the books close we may not only see that we held the number for the year, but there may even be a growth of another 20 or so on top. We’ll see…!! New Insurance Certificates – A Little Delay…..!! For those of us that have our insurance on the new super-duper BIFFA Insurance scheme, although we all have acknowledgements from our broker, we haven’t yet received our insurance certificates. Probably, most of you, like me, had not noticed !! This is the explanation from our Broker, Dan Blake, at UK Global…..
For those of you who have recently renewed your F15 policy with us or indeed taken up a new policy following a quotation, you may be wondering why you’ve not yet received your Certificate of Insurance along with the new policy wording. The main reason is because following further negotiations with Navigators & General the policy will now include a new Personal Accident section. This cover pays out fixed lump sum benefits for members aged between 16-70 if they suffer Loss of Limbs, Loss of Sight or Permanent Total Disablement as a result of an accident whilst aboard an insured craft. Since the inclusion of this section, N&G are now looking at enhancing the cover even further following the recent tragic accident resulting in the death of a 14 year old boy (http://www.bbc.co.uk/news/uk-england-dorset-21416652). We are currently looking at the possibility of including Accidental Death cover and extending the age limits to include under 16 year olds. You will be pleased to learn that these enhancements will be automatically included in your policy and the premium will remain unaltered. Once the final version of the policy has been authorised by the FSA, we will immediately issue the Certificates and wording to you. In the meantime, should you require evidence of cover for your sailing club, then we can provide “Confirmation of Cover” in writing to you. We thank you for your continuing patience and support and trust you understand that the delays are as a result of further enhancements to the BIFFA insurance scheme. If you have any queries about Personal Accident cover or indeed anything to do with the policy, then please don’t hesitate to contact us. 30th December and it’ll be insurance time soon for loads of us!! Have you seen the NEW Association Scheme ?? Very aggressively priced, it is. PLUS did you spot that if you are joining the UK Fleet scheme from insuring somewhere else, you get a £20 “discount” if you are a member of the Class Association…!! Now lets think through this for a moment…. The UK Fleet policy runs from February 1st each year, right? One month away from now. But did you also know that if you join the Association now, you are given fifteen months for the price of twelve – which is the same as January to March are free. So as the BIFFA fee is £35 and you get £20 off from the insurance, you get fifteen months for fifteen pounds…… a pound a month to support your Class. Not bad, eh?? Not to mention that you should anyway see a very keen price on the insurance. Speaking just for myself, the premium reduction pays for my Association membership a few times over. What do you have to do?? Well, (1) get a quote from our brokers at UKGlobal and ask for both the member and non-member fee. (2) Join the Association pronto – There’s only four weeks to turn this all around. A membership form can be downloaded from “Quick Links” on the right hand side of the Blog homepage. (3) Accept your insurance quote from UK Global by Feb 1st. It’s Here!!!.. – The New FF Insurance Scheme from BIFFA…..!!! Following a detailed review of the British Isles Flying 15 Association insurance scheme, a number of significant new improvements to both premiums and cover have been made for 2013/14. The scheme will continue to be run by UKGlobal (formerly COBRA Corporate Solutions Ltd and JK Lee), which has provided insurance for BIFFA Members for over 20 years. Alongside these improvements, the policy continues to offer Members, as standard, a number of important benefits over the levels of cover normally available. An example of this is the valuable new-for-old cover on sails, covers, masts, spars and rigging which many other policies do not include. Unlike many other policies there is also no Hitchlock and Clamping Condition. An additional benefit of supporting the arrangement with UKGlobal is that it also provides income for the Association, which helps fund the activities for Members. The more Members that use the Scheme the more the Association receives.